It is hard to miss the fact that the older demographic (65 and older) in the United States has experienced a population explosion in recent years. Seniors are living longer, and there are more of them. In White Plains, New York, 15.2 percent of the population is age 65 or older and 7.8 percent of the households had someone aged 65 or older living alone at the time of the last Census. Whether you are a senior yourself, or you are the caregiver for someone who is, there are resources available to help you with many of the issues you may face. To take advantage of those resources, however, you must know what resources are available and how to access them. To help you, the elder law attorneys at Law Offices of Kobrick & Moccia have compiled some commonly used elder law resources for the White Plains, New York area. If you are a senior living alone, or you are concerned about a loved one who is, it is wise to know who to call in case of an emergency. Although you can always call 911, it is also helpful to know how to locate your local law enforcement agency online. If you live in the City of White Plains, New York, that means the City of White Plains Office of Public Safety or the Westchester County Department of Public Safety which serve residents in the area. The New York State Health Department’s website offers profiles for licensed nursing homes throughout the state. com which offers you the ability to search for all types of care, including home care, assisted living care, and skilled nursing facilities in and near White Plains. S Department of Health and Human Services offers the “eldercare locator” website. Finding the right facility for your needs is only one consideration. The cost of that care is another. The cost of long-term care (LTC) in the United States has increased as the older population has increased, and shows no signs of slowing down in the years to come. In 2018, the average yearly cost of LTC in the State of New York was about $146,000. Because neither Medicare nor most basic health insurance plans cover the expenses associated with LTC, it is imperative that you plan ahead. While Medicaid does cover LTC expenses, the Medicaid eligibility guidelines can be problematic for many seniors in the absence of advanced planning which is why the estate planning attorneys at the Law Offices of Kobrick & Moccia strongly recommend incorporating Medicaid planning into your comprehensive estate plan. By taking the time to plan ahead now you can protect your assets in the future and ensure that you will qualify for Medicaid if you need help covering the high cost of LTC. Retirement no longer means and end to your social life. On the contrary, most seniors enjoy an active social life and experts agree that socializing can play a vital role in both the physical and mental health of seniors. Fortunately, there are several excellent options in White Plains for seniors who want to get out and socialize. The Westchester County Senior Citizens page typically has information regarding events for seniors on its website. There are several VFW Posts in the area for veterans. Finally, the City of White Plains website also has information about upcoming activities for seniors. Many state and federal resources and assistance programs are geared specifically at seniors. An excellent example is the New York State Office for the Aging. Many seniors also qualify for assistance from the Social Security disability or Social Security retirement program. For information, including application instructions, visit the Social Security Administration’s (SSA) disability website. To sign up for your Social Security retirement benefits, navigate to the sign up website of the SSA. . If you are a veteran, or the surviving spouse or dependent of a veteran, you may also be entitled to a number of benefits through the Veteran’s Administration. Along with well-known benefits such as pension and disability benefits, you might qualify for additional benefits you may not be familiar with, such as Veteran’s Aid and Attendance benefits. Once you reach retirement age, you will likely be automatically enrolled in the Medicare program. Although basic Medicare is free to all seniors, Medicare actually has four parts and the other three parts may come with a premium. If you have questions about a covered service or need to find a provider, the official Medicare website can help. In addition, if you need help covering the high cost of long-term care at some point you might qualify for New York Medicaid for seniors. Although predominantly funded by the federal government, each individual state administers its own Medicaid program. Knowing that there are benefits available is only the first step though. For those benefits to help you, you must apply and be deemed eligible. For many people, navigating the application process can be an overwhelming and seemingly futile, endeavor. If you are a caregiver applying for a family member or other loved one it can be even more complicated and frustrating if you lack the legal authority to act on his/her behalf. 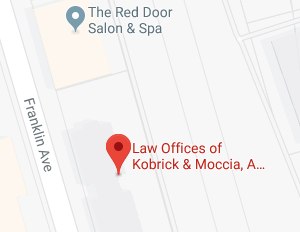 At the Law Offices of Kobrick & Moccia we are committed to helping you obtain the benefits that you, or your loved one, deserves. Our experienced, compassionate, and caring team of elder law attorneys are dedicated to helping our senior population and the people who care for them with legal issues and concerns, including things such as incapacity planning, asset protection, tax and probate avoidance, and Medicaid planning. We can also help you coordinate retirement planning with your existing estate plan as well as help you incorporate advanced directives in into your plan to ensure that your wishes are honored at the end of your life. For more information on any of the issues that impact seniors, or to discuss specific elder law questions, contact an experienced White Plains, New York elder law attorney at the Law Offices of Kobrick & Moccia by calling 800-295-1917 to schedule your appointment.